lasting results proven in more that 18,700 consultations call 0424 874 944 now. in your marriage and relationships. The 7 steps to attract your ideal partner. Using Our Unique Blend of EFT, NLP, Alpha RePatterning And Time Line Therapy(R). You can experience the power and simplicity of EFT for yourself via our Free EFT Workshop, exclusive to visitors on our website. Discover the magic of EFT. AAMET International Acredited EFT Training Workshops. Benefit from leading Australian EFT Master Trainer of Trainers with over 12 Years of full time EFT Practioner Experience. Call Now +613 97222678 . Amaze and thrill yourself with what you are capable Of achieving in record time. Create break through results faster and with less effort using our cutting edge. What Is It That You Truly Want From Life? that you are going to reach them, that your success is inevitable. Wouldn’t that be great? Imagine being able to know yourself as someone who can create anything that you put your mind to. Well it’s all truly possible, you just need to know how. A trainer, coach, therapist and counselor specializing in:- Resolving relationship problems, physical pain and stress related issues using Alpha RePatterning and Neuro Linguistic Programming (NLP) and Hypnotherapy. Specialising in business, relationships and personal success coaching and Self Development, Russell Cunningham holds certificates as a Master NLP (Neuro Linguistic Programming) Practitioner, & NLP Trainer, Timeline Therapist, Workplace Assessor & Trainer. 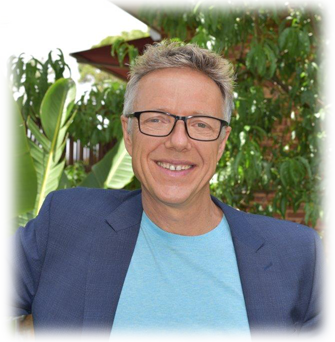 His experience in training, self-development and professional development spans over 27 years and includes more than 17,700 hours of personal and business success coaching , most recently being involved with the Centre for Professional Development, NLP for Life and as director of Australian Institute of Self Development. At Australian Institute of Self Development our clients are experiencing BREAKTHROUGH results With LESS EFFORT, much FASTER than they could using conventional coaching methods. 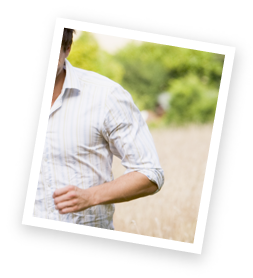 Coaching is available via telephone, Skype or face to face. Call 03 9722 2678 OR click here to book! While EFT was originally developed for resolving emotional issues it also applies to just about every health and performance issue you can name and it often works where nothing else will. EFT consultations are available via telephone, Skype or face to face. Call 03 9722 2678 OR click here to book your personal consultation! NLP (Neuro Linguistic Programming) is one of the most powerful self development tools ever created. NLP is like a Master Key for Personal Empowerment. Unlock the door to your hidden potential and you can literally do anything to the full capacity of your innate ability. Coupled with EFT, the results that can be achieved using NLP are astounding. NLP consultations are available via telephone, Skype or face to face. Call 03 9722 2678 OR click here to find out more! Alpha RePatterning is an outcome focused process. It harnesses the awesome power of your unconscious mind to safely and easily identify your unconscious blocks to success, and thoroughly resolve them with EFT, whether those issues occurred before, during or after birth. Consultations are available via telephone, Skype or face to face. Call 03 9722 2678 OR click here to find out more! Before meeting Russell I had low self esteem which l coped with by drinking… I also had problems making decisions and being assertive and blushed when speaking to people and felt inferior. I did not have a good relationship with my son and also felt responsible for my ex husbands lonely life….I really enjoyed my sessions with Russell and found the treatment very effective and profoundly interesting. Since seeing Russell I have cut down on my drinking and I am much more assertive and happier in myself. EFT and Time Line Therapy have given me the tools to cope with life’s problems….I now have for the first time in 32 years a “normal” mother son relationship with my son which means the world to me. Thank you Russell. All of my life I’d struggled with money, there was never enough, it’s frustrated me to no end. In just one session with Russell we uncovered and dealt with a childhood issue that I had completely forgotten about, …Russell explained that he would lead me through an EFT process to ‘clear it’ and finally an NLP visioning process to create a new future. The entire process was unlike anything I’ve ever experienced, it was like being plugged into 240 volts of pure energy and enthusiasm. When I got home I was so excited, I couldn’t sleep, so I stayed up all night and created new plans for the entire year. That one session has completely changed the course of my life, I now have three exciting businesses I’m involved in and I truly see that my success is inevitable… life has never felt better. Since discovering EFT and starting to work with Russell a couple of months ago, my life has changed significantly. Russell is a very skilled EFT practitioner – I’m always amazed after a session with him on the issues that come up and are cleared. As a result of my sessions with Russell I’ve finally found the sense of feeling centred I’ve been looking for, I felt much happier and more ‘well’. My dependence on food to help me feel better has decreased, I’m less anxious, and my motivation and energy for my business has increased. And I’m thrilled I’ve found EFT as a tool for helping me to live a life I really love.